The next of these is the FIVB Volleyball World Cup: two tournaments each featuring twelve teams - the women's teams play from August 22 through to September 6, and the men’s from September 8-23. The competition will determine which two countries per gender join hosts Brazil at the Rio 2016 Olympic Games. Japan has been proud host of the FIVB Volleyball World Cup since 1977, when the quadrennial tournament was first held in the country. 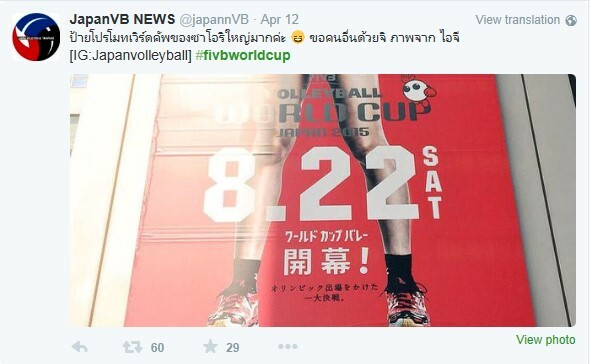 Since then, the World Cup - which is traditionally the first Olympic Games qualification tournament for volleyball - has gone on to become the second-most prestigious tournament in the volleyball calendar behind the FIVB Volleyball World Championships. That is obviously largely down to the efforts of hosts Japan. The country offered the sport invaluable support in the early years of what has gone on to become a remarkable success story. When volleyball made its debut at the Olympic Games in 1964, Tokyo was also the host city. And on that occasion, Japan celebrated a magnificent festival of volleyball, which thrilled and inspired tens of thousands of spectators in Japan and millions around the world. That obviously also had something to do with the success of the home team. Japan’s women were crowned Olympic champions, while the men won the bronze medals. It also had something to do with their revolutionary style of play. Japan surprised onlookers at the 1962 FIVB Women’s World Championships in Moscow, when they defeated serial winners the Soviet Union. After three titles at the three previous World Championships, the Japanese ladies brought the competition host’s dominance to an emphatic end. Over the course of the entire tournament, Japan lost just one set in ten matches. That dropped set came in the decisive 3-1 final victory against the Soviet Union, whose style of play seemed old-fashioned in comparison. The media called the Japanese players “Oriental Witches” for their supernatural defensive displays. Others wrote of volleyball “from another planet”. The moves were phenomenally precise, the fast-paced game a feast for the eyes, and the ladies put up a cat-like defence, the likes of which had never been seen. This style of play was to set the trend for the future. However, the key to the perfection of the so-called “miracle team” was in fact extremely hard work. Coach Hirofumi Daimatsu had assembled the top 16 players at a textile company, where they had to practice after work - sometimes until as late as midnight. The only time they had off was on Sundays and for one week each year. Daimatsu is also regarded as the inventor of the rolling receive move, which was to revolutionise defence. Japan’s outstanding players were playmaker Masai Kasai, superb left-handed spiker Emiko Mijamoto and Mitsue Masuo, who baffled her opponents with her unpredictable shots. And so it was that Japan dominated the other 13 teams in the tournament to become the first non-European team to win gold in the history of the World Championships. It was the start of an era of Japanese success and of the sport’s huge popularity in the country. Within the space of 15 years, Japan’s ladies won six gold medals at major events – two Olympic victories (1964 and 1976), three titles at the FIVB World Championships (1962, 1967 and 1974) and victory at the 1977 FIVB World Cup. The Japanese men had to play second fiddle a little, but still claimed gold, silver and bronze at the Olympic Games between 1964 and 1974, as well as two bronze medals at the FIVB Men’s World Championship. The ladies, led by captain Saori Kimura, are on course for a return to the kind of success they enjoyed back in the glory days: the Japanese women claimed bronze at the 2010 FIVB World Championship in Japan and at the 2012 Olympic Games. Silver at the 2014 FIVB World Grand Prix was further proof of the team’s upwards trend. 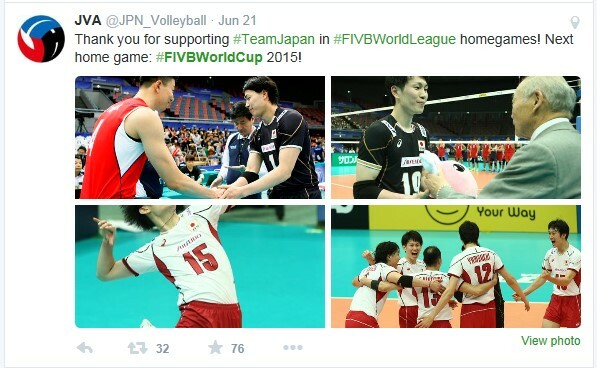 The team also recently progressed to the final round of the FIVB World Grand Prix. The opportunity to shine in front of a home crowd in Japan in the future is also a strong motivation for the team.